I know I say this every month, but September absolutely flew. I mean it went by seriously quickly. I feel like I was counting down towards the wedding I had in the middle of the month for most of the summer, so the fact that it has been and gone is almost mind boggling! Christmas will be on us before we know it! Onto my month in review! Still persevering with X Factor even though I am getting very very sick of every second shot is on Cheryl pulling some sort of a face. She's kind of ruining the show for me this year so can't wait to get back to the live shows. I was delighted to see that Netflix have uploaded a ton of new material for our viewing pleasure too. 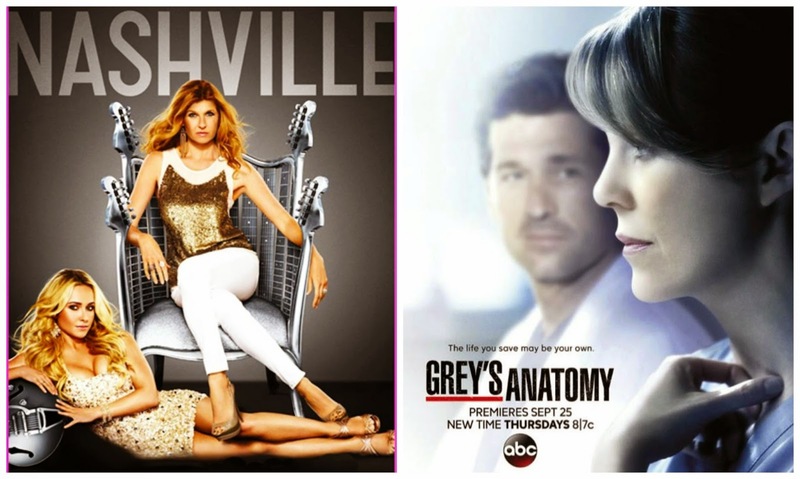 I was delighted to be able to tune into the season premieres of two of my favourite shows again- Grey's Anatomy and Nashville- and I'm looking forward to the rest of my preferred TV series kicking off again- incl. The Vampire Diaries, The Originals and The Good Wife. I haven't had much new music on the radar this month and have been listening to the same stuff over and over. I haven't bought new music or come across anything new really so it's been a quiet music month. There were quite a few blogger events on the calendar this month and I tried to get to as many of them as I could. Obviously, the day job is always my priority so I couldn't make it to some but I did very much enjoy the ones that I was able to make. #wordofmouth party to welcome Hello Products to Ireland. MICROnail launch in Residence- an absolute nail innovation, I have been obsessed. #beutifibbloggersbrunch got me out of bed on a Saturday morning but it was absolutely insightful and I learned loads about a new service which I will be blogging about later this week. Anita's meetup- it's always lovely when bloggers get together to chat all things beauty and it had been a while since our last meetup in Dublin. Anita did a great job organising the whole affair and I was delighted to finally meet Peter from Ziaja Skincare. Trip to Poland- one of my friends and work colleagues was getting hitched to her Irish fiancé in Poland, and about 15 of us headed over from the office to support her on her big day. Everything was organised amazingly well, it was a beautiful service in Polish and English, we were fed with about ten courses and all the vodka you could manage and the band played Polish Europop, traditional Irish and classic Queen music. It was my first time in Poland and I would not hesitate to go back. Weekend back in the homeland for puppy snuggles and spot of shopping/ bite to eat in Cork city centre. Though I tried to stay away, I succumbed to the Charlotte Tilbury voices in my head and picked up four items over the month. OMFG they are amazing! Picked up some bits from Estee Lauder, Christian Dior and MAC over the month also. Was a spendy makeup month! Also couldn't resist the iPhone 6 buzz and picked myself up a slinky grey version! Still waiting for it to arrive and barely able to contain my excitement! It will be tough adjusting to a new phone and part of me is very very sad. Cheese. Craving cheese everything at the moment. All the cheese. The drop in temperature and weather outside. Almost time to pull out the woollies. I'm also loving that the evenings are now beginning to smell autumnal and every morning I wade through conkers getting to the Luas! New Look winter boots selection- absolute winners! All these protests against water charges. No consent no charge nonsense. If you want the water service, you will just have to pay for it like the rest of us. Yes- I know we got it for free long enough. Apple iPhone 6 launch and the backlash against U2. Also #bendgate. Passing my final ever set of law exams after ten long hard years of study, work and constant exams and scrutiny. You cannot begin to imagine the relief I experienced. My car passed the NCT despite the fact it had not seen the inside of a garage! Lots of exciting blogger mail this month and new brands and products to try. A little bit more Christmas sneaking into stores. Bringing little Squidge for a drive in the car and seeing how excited he gets. As soon as he hears the jingle of car keys, he goes bonkers. He's good as gold in the car. No longer having to cram my handbag into my hand luggage- the Ryanair gods have finally shone mercy on us! Hitting a blog milestone during #irishbloghour! Going to The Loop collection point in Terminal 1 and my order that I made a month previous had gone missing. My beloved orchid is now as bare as a newborn baby's bottom. I think I drowned it. My puppy broodiness- just dying for a little stunbun of my own. Meteor customer service and the absolute apparent lack of communication between staff in Meteor HQ and the staff in stores on the frontline. I couldn't get any information from staff in two different Meteor stores as to when the iPhone 6 would be available to purchase. Called into a Meteor store the day after it was released and staff member told me not to order the phone online because it would take weeks to come. Meteor website said it would take three working days max. Sort yourselves out people! Coming home from a lovely wedding extravaganza in Poland only to discover that the water supply to my apartment had been broken and I could not flush toilet/shower/brush teeth. I wanted to jump straight back on the plane! The traffic situation in Newlands Cross makes me not want to go home to Cork anymore. Two hours I was stuck there on a Sunday evening. Such a waste of my life! People who post images of acts of animal cruelty on Twitter subjecting those of us who would rather not see images of maimed dogs to those same images. Traumatised is not the word- swift unfollow essential. My birthday is coming up on 7th October and I'm really beginning to dread these birthdays now because I am getting closer and closer to the big 3-0. I think I will be officially in my late twenties next Tuesday- or at least that's what I'll keep telling myself. I'm off to the Pro Beauty Show this weekend in the RDS to pick up some of my favourite bits and pieces again. I'll try to get there early because it gets a bit vicious later on in the day. 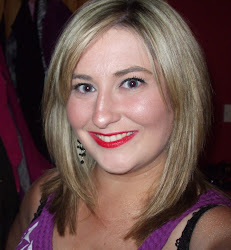 I'm in a bit of a hair rut at the moment and feel like getting my hair done. Absolutely consumed with anxiety at the thought of it however. I've had a bad year in the hair stakes. So that summarised the main points of my September and I'm only thrilled that October is upon us. October is probably my favourite month of the year! Hopefully manfriend will make it back off the boat before Hallowe'en this year- not sure how likely that is looking- but after only having his company for a mere six weeks over the summer- two of which were devoted to exams- I think I am well overdue some attention! Did you know that I am on Twitter? Pop over and say hello (@totalmakeupadd) and tell me what the highlight of your September was or what you're looking forward to most in October! I love these posts! 30 isn't so bad, I promise :) October is my favourite month too, I love Autumn. I know that the Christmas build-up seems to get earlier every year, but frankly I can not wait to buy the aforementioned winter boots from New Look (fantastic selection every year), get a scarf on, go kick some leaves, and come home to a roaring fire and a cosy dark evening. Bliss! 30s are SO the new 20s Ais!!! Also get ridiculous cravings for cheese especially cracker barrell...ummm delish!!! Lol!!! I'm more of a winter gal myself! Come to think of it... I'm actually a total Christmas hoe as well!